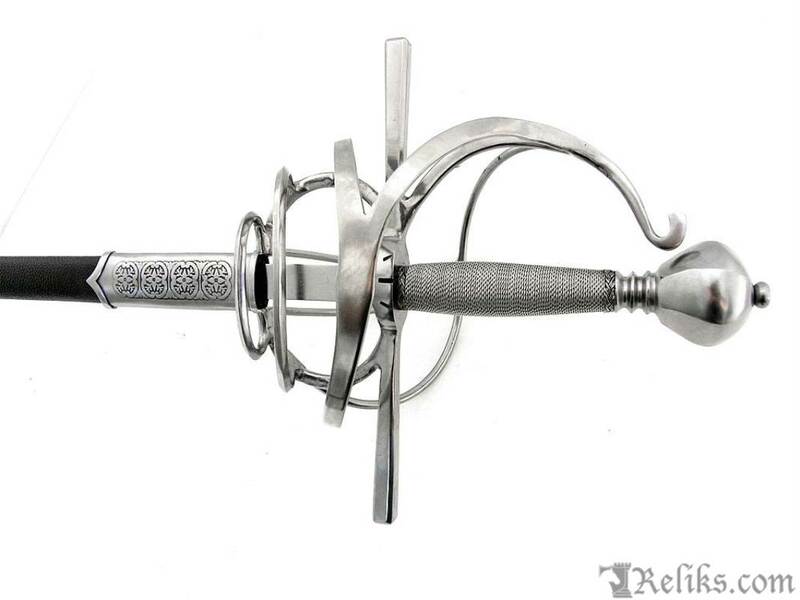 A beautifully executed 17th Century Italian rapier with a very complex hilt and faceted pommel. 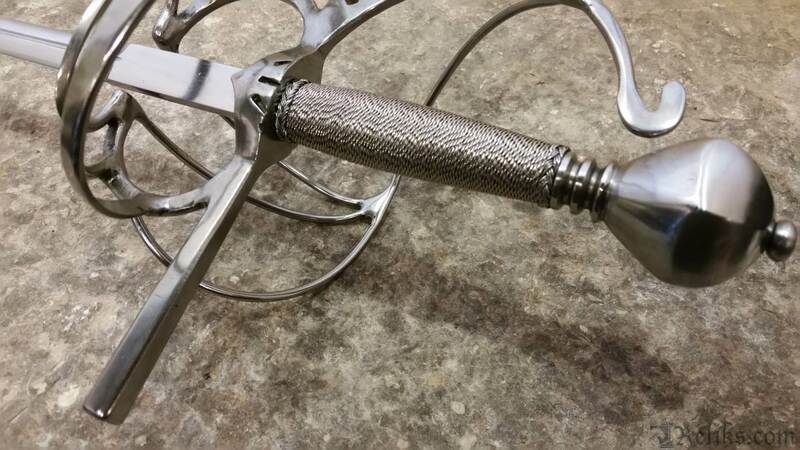 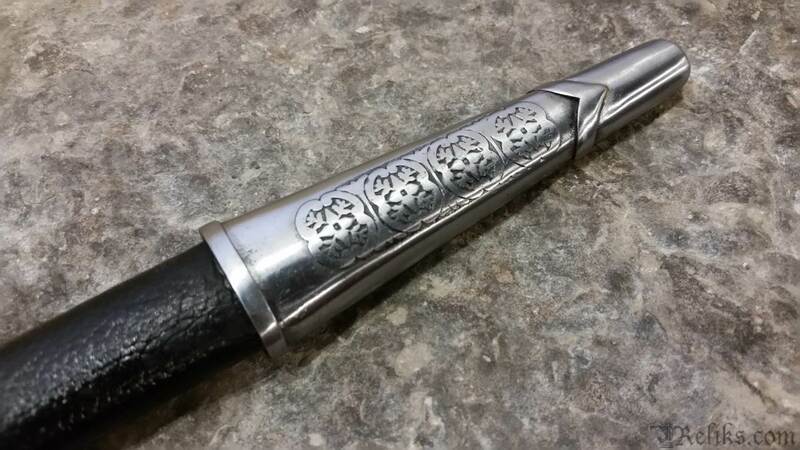 The grip is hand wound with silver plated wire with woven wire rings top and bottom. 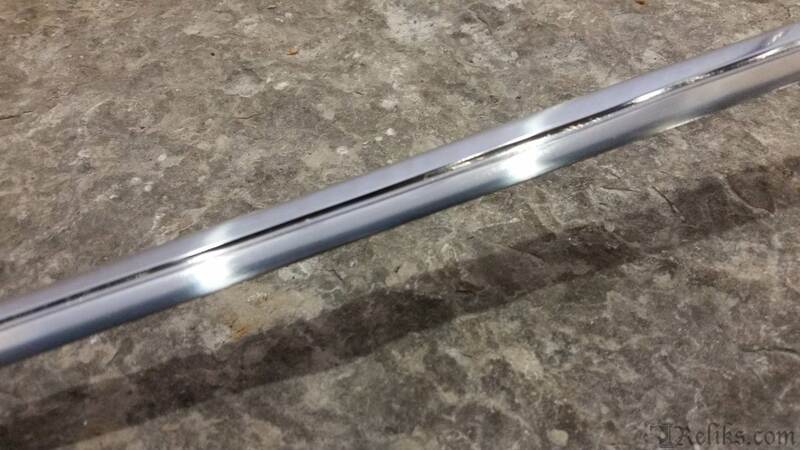 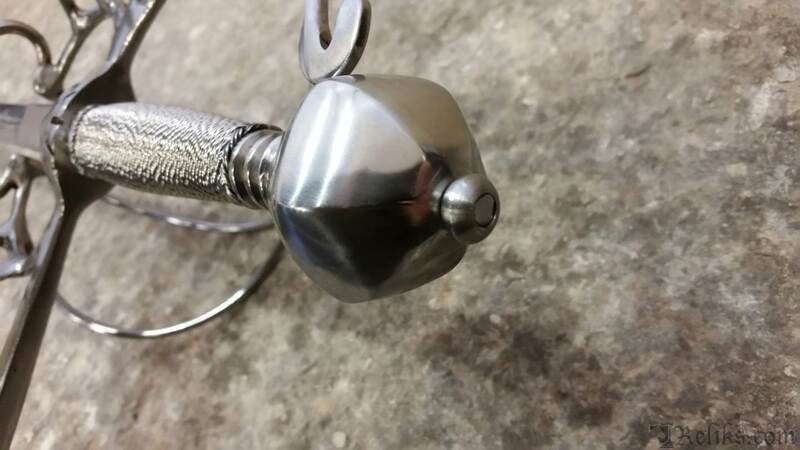 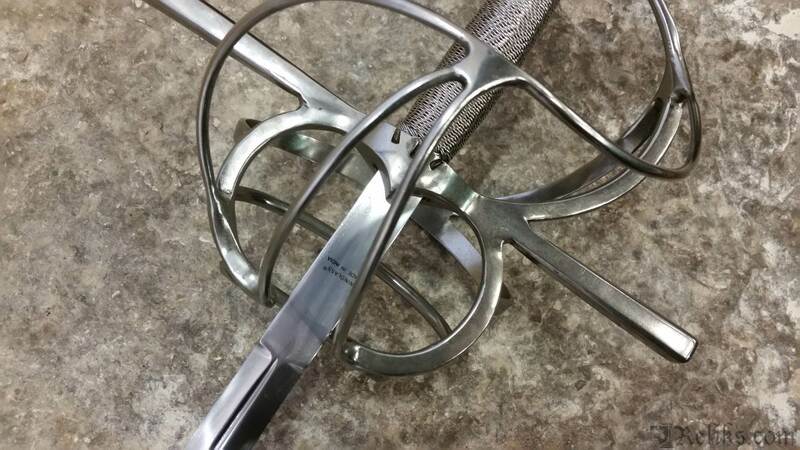 The hand forged, high carbon steel, fully tempered blade features a wide fuller to lighten and strengthen it for thrusting and the heavy ricasso provides extra strength to the main stress area. 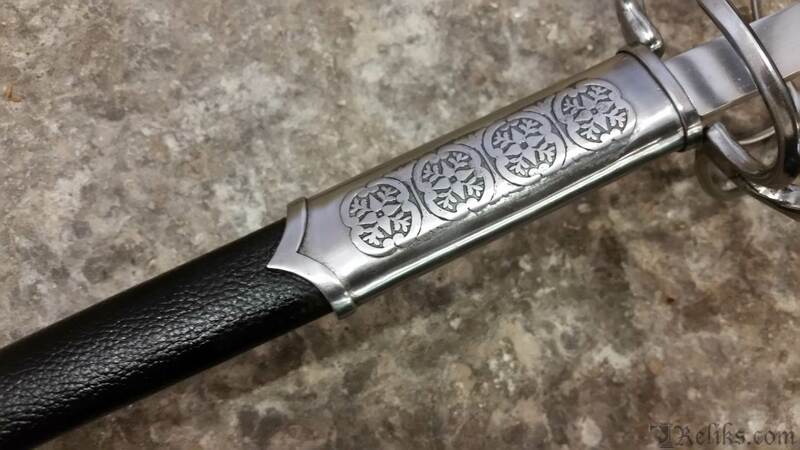 Top quality, genuine leather scabbard with deeply engraved floral pattern on the throat and tip. 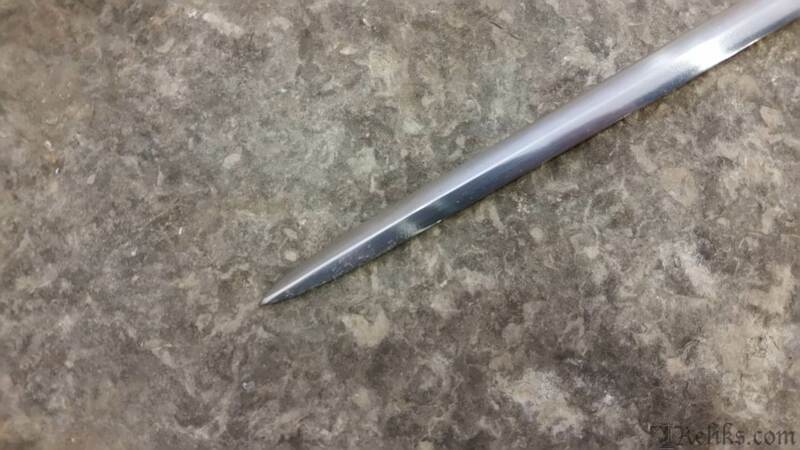 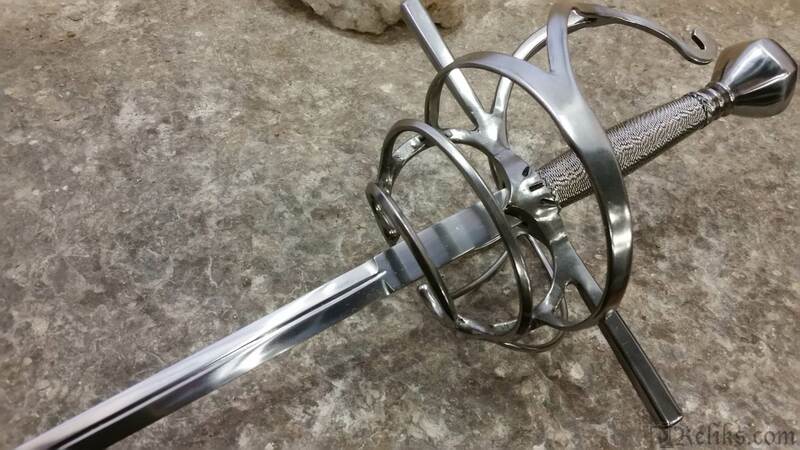 This type of sword was deadly effective as a dueling weapon. 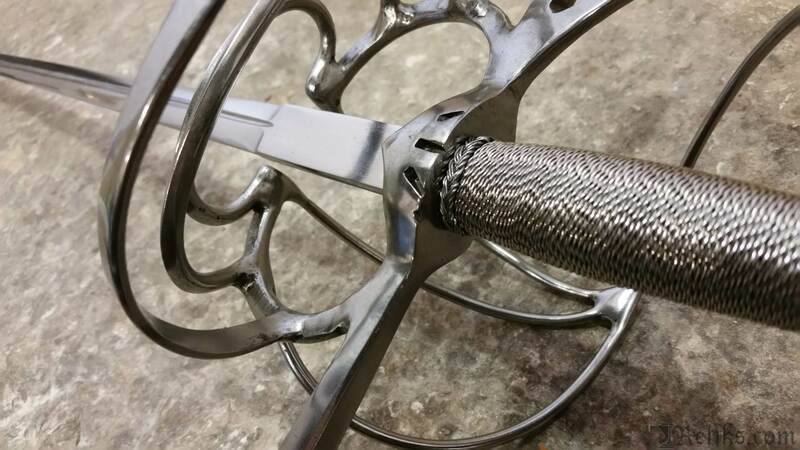 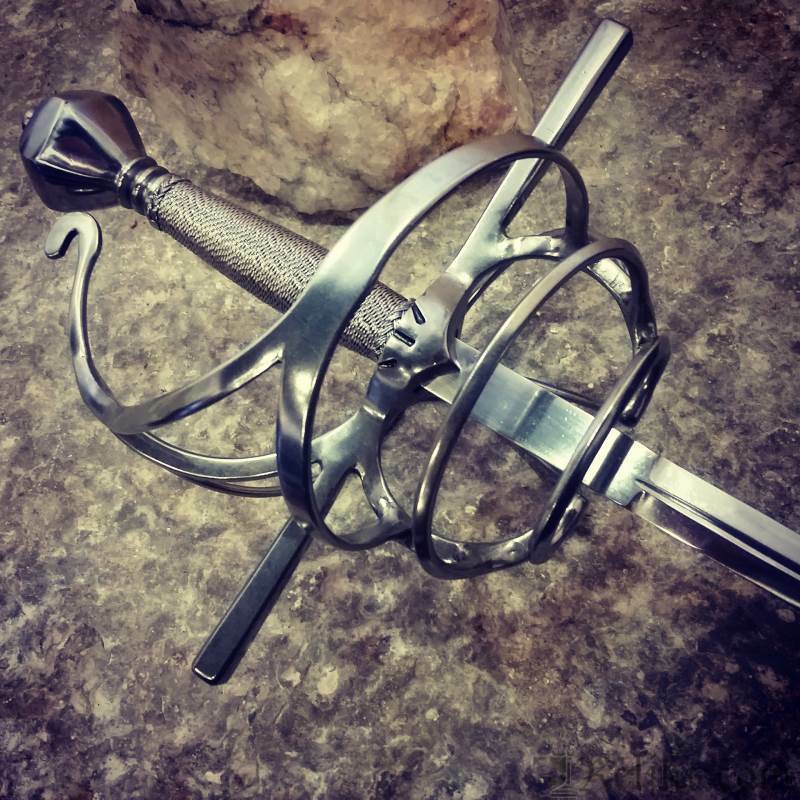 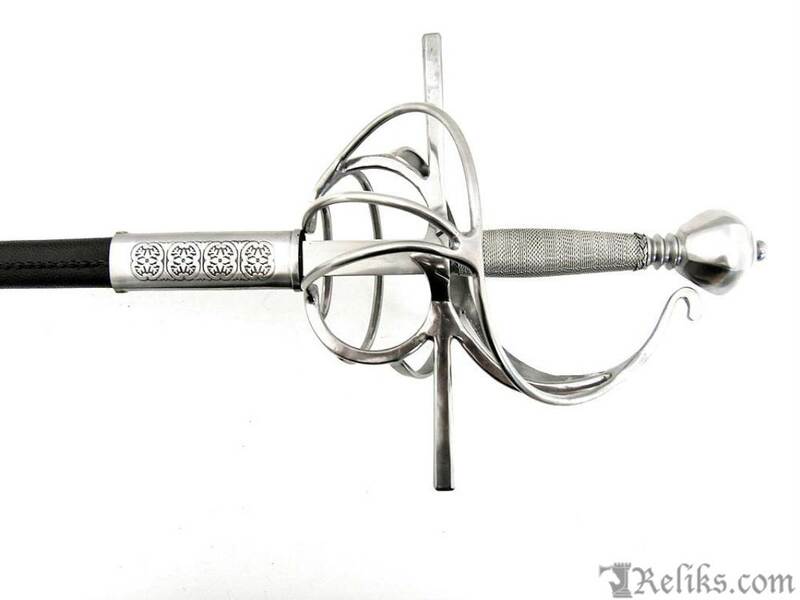 Rapier Guard - The 17th Century Italian Rapier has an elaborate guard.